Professor Emeritus Musa Kamal, accepts his Lifetime Achievement Award from the Society for Advanced Molding Technology. Professor Emeritus Musa Kamal, Department of Chemical Engineering, received the Life Achievement Award at the Annual Meeting of the Society for Advanced Molding Technology (SAMT). 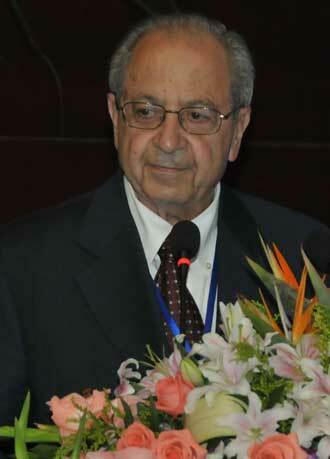 He received the award “in recognition of his outstanding contributions to the polymer processing community” at the Annual Meeting of SAMT in Changzhou, China, Sept. 26-28, 2009. Professor Kamal co-authored a book on Polymeric Nanocomposites in 2008 and edited a book on Injection Molding: Technology and Fundamentals in 2009.